A family house in a peaceful tropical garden. The private garden has direct access to a sandy beach and provides an ideal environment for holidays in a quiet location and a great outdoor playground for chidren. 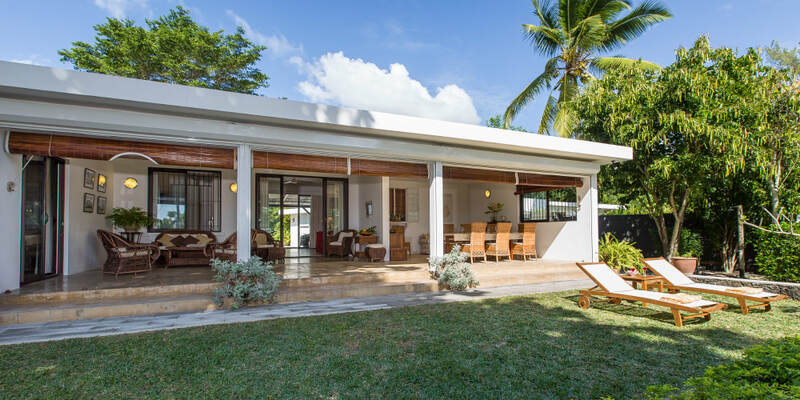 It is a brand new villa (350sqm) planned for large families and friends, up to eight persons, with three large beach and sea facing bedrooms. On ground floor the master bedroom (25 sqm) opens on the terrace and swimming pool.